Rumor is Tamashii is going to reveal prototypes of S.H.MonsterArts Alien and Predator to gauge fan reaction. I’m sure they’ll look fantastic and be super-articulated, but they’ll only be in scale with each other and they’ll cost 3-4x NECA’s stuff. Not sure how these will sell here in the U.S., although they still might sell better than the Godzilla stuff due to the larger fan audience. Update: Alien vs. 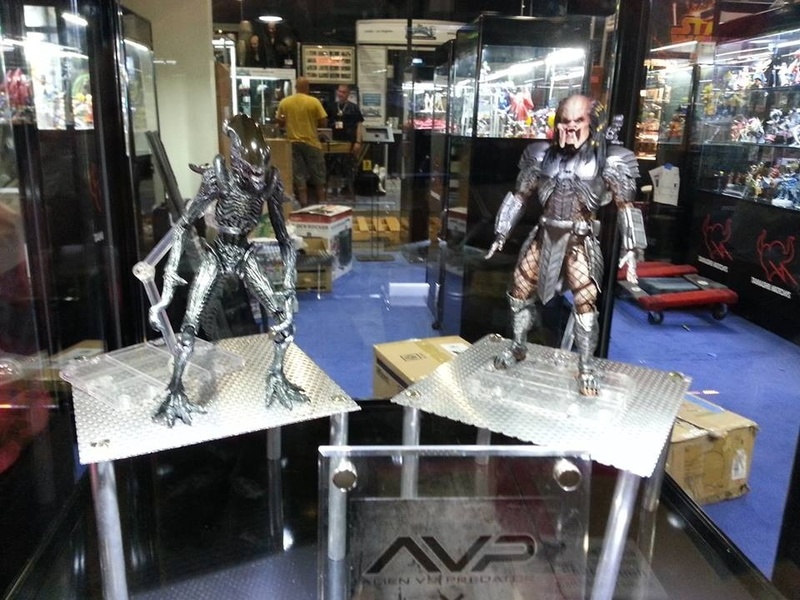 Predator S.H.MonsterArts confirmed, but to make it weirder, the designs are actually from the movie Alien vs. Predator, which seems like…not a good idea. If they’d gone with the design from Alien or Aliens and/or the first Predator, I might have had to think about it. But figures from my least-favorite movie of either franchise? * Pass. *Well, okay, maybe second-least-favorite, because I haven’t seen Alien vs. Predator: Requiem.